Binoculars were the only thing missing from our highly accommodating room at Loch Ness Lodge. 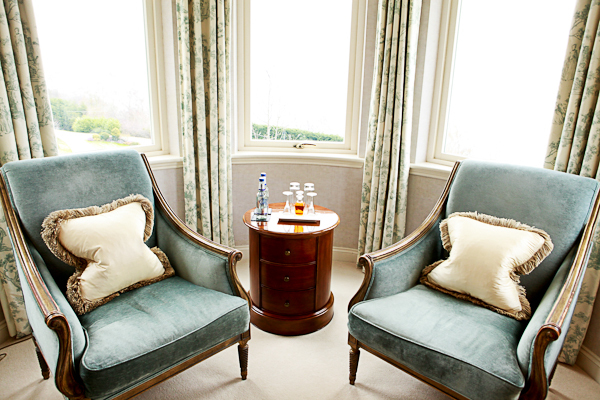 After all, our suite offered a stunning bay-window view of Loch Ness from where we could spend hours casting our eyes upon the shimmering water in search of the legendary monster. Kinloch Lodge is the place you stay to eat. Even in a highly scenic locale with wood-burning fireplaces crackling throughout the enchanting property, the main event here is the Michelin-star meals its head chef Marcello Tully creates nightly. After a long and semi-frightful drive from Edinburgh, we landed safely at Kinloch on the Isle of Skye just before sunset. Let’s just say navigating the narrow Scottish roads isn’t for the faint of heart – or anyone with a serious heart condition. After our complimentary champagne at check-in, our greeter escorted us to our suite in the adjacent house overlooking the Loch na Dal in Sleat on Isle of Skye. We decided to stretch our legs with a stroll before dinner. The sky had cleared just enough to reward us with a beautiful sunset. 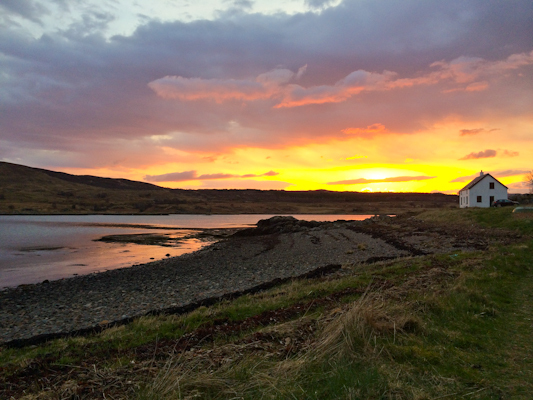 We truly felt we had arrived in Scotland as we sat there on the rocky shore at the edge of Kinloch Hill watching the sky’s vibrant hues intensify with each passing minute. You had me at guacamole and chips. Then you piled it on with daily poolside foot massages, conch-shell calls alerting us to whales frolicking in the Sea of Cortez, and hand-over-heart greetings by your super friendly, attentive staff. Those are just a few touches that have us counting the days until our return trip. Yes, One&Only Palmilla is the resort that has landed so deeply in our hearts that we make an annual pilgrimage to experience this Mexican paradise.